I have been badly bit by the travel bug. 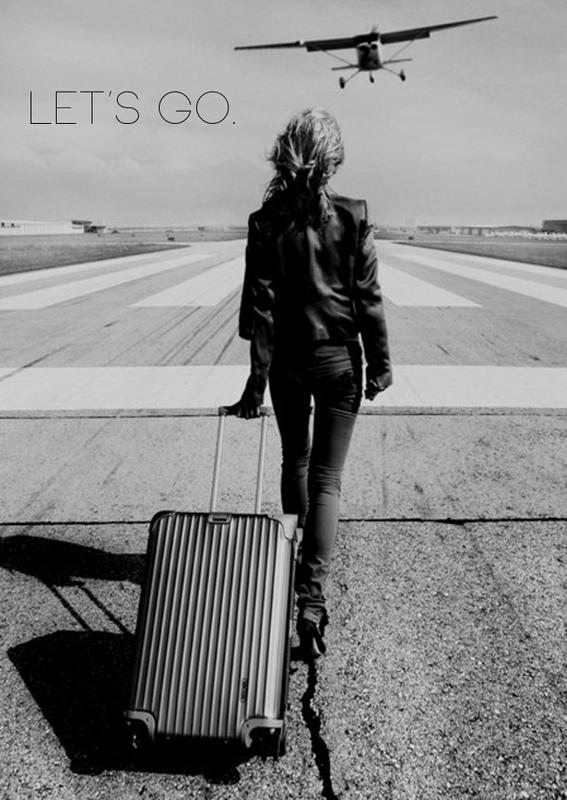 I'm just dying to hop on a plane and explore a new city! Ultimately I would love a trip to Europe, but that's going to take a few years of saving and planning, and I don't think I can wait that long. I'm considering taking a week of vacation this fall...but where should I go? 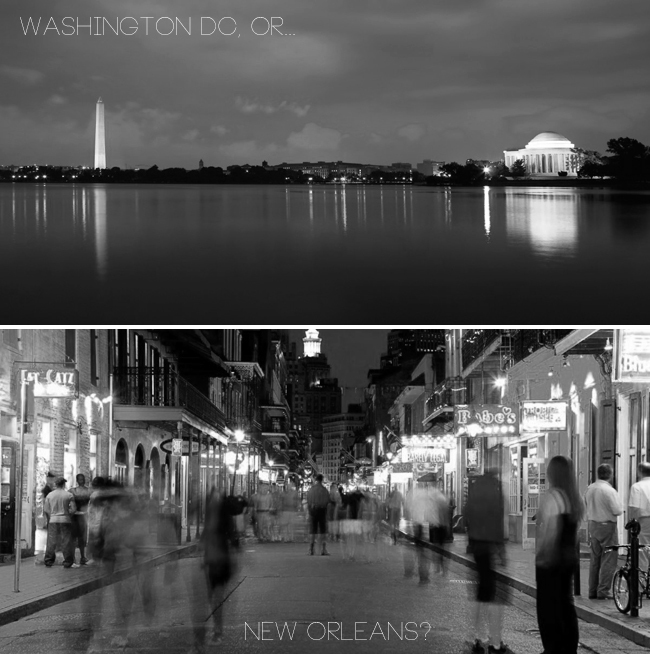 I'm thinking either Washington D.C. or New Orleans. I would love to eat beignets all day long in New Orleans, but it would be amazing to visit the Smithsonian in DC. Both sound like so much fun! Hmm, decisions decisions. Have you been to either city, or maybe live there and have some suggestions/advice? I feel you girly, i am going to new orleans for the first time in april! Sooooooo excited! There's so much to do and see in New Orleans. Haunted History Tours. Live music. Architecture. And, of course, the FOOD! So many good restaurants and bars. Don't miss dueling pianos at Pat O'Briens, and as long as you're there get a Hurricane. And the oldest bar in America, Lafitte's Blacksmith Shop. I live close to New Orleans. In fact, my dad's family is from there and I call it my second home. Naturally, I chose New Orleans for you. It's the dirty south. It's warm and exciting. It's colorful in more than one way. It's home. Both are oh so fun! SO happy to have stumbled across your blog. It's so cute! Hope you will stop by mine! I'm your newest follower hey hey hey! I have lived in New Orleans for the last 2 years and my husband lived in DC for the 5 previous years. I have to say.. come to NOLA. It is a different world, almost like another country. Amazing food, crazy locals. Also, the surrounding areas... swamp tours, bayou people.. it is a must see. I share alot of my NOLA discoveries on my blog. Come to New Orleans. It's a different world down here. So many unique things to do. I've lived here for 14 years now and I'm still discovering things about this place I never knew. It is wonderful especially the food and the people are so welcoming and nice! You won't be dissapointed trust me!